More and more subscribers are using their smart phones and other mobile connected devices as their primary way to consume bandwidth. Mobile carriers globally are already deploying advanced LTE infrastructure to achieve download speeds of up to 1 Gbit/sec to meet the needs of subscribers. This rise is fueling one of the fastest growing markets for optical communication interfaces. The bandwidth offered by these providers is predominantly enabled by optical links between the base stations and the radio antenna units. Besides the superior bandwidth capability, optical front-haul offers longer reach and with lower power consumption. This will provide the carrier with greater deployment flexibility and lower cost in the long term. As the market leader in optical components for wireless networks, Source Photonics offers a comprehensive product portfolio of wireless broadband equipment. 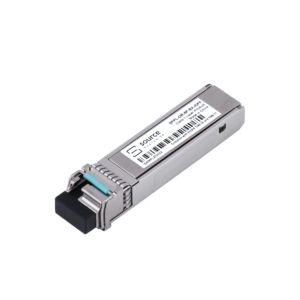 This includes power efficient and temperature hardened transceivers based on the CPRI standard, as well as customized interfaces for deployments in networks with existing fiber plant and fiber resource constraints. The products are based on internally developed and manufactured optical components, enabling market-leading flexibility and capability to support the expectation of massive growth in this market segment. Copyright Source Photonics. All Rights Reserved. Designed by Pennwell Marketing Solutions.